Vote Red? But the election’s over, politicians have stepped down and the country once again tumbles headlong into the blue abyss. Fear not, I haven’t whipped out the soapbox, grown my locks or adopted any Russell Brand bravado. No, the red I’m talking about is a great British favourite that always gets everyone’s vote: the tomato. Every January, Sophie and I convince ourselves that we don’t need to grow as many tomatoes as the previous year; there are only two of us and a surplus means my lovely wife spending her summer evenings cooking them into various soups and sauces and then trying to force the sealed containers into an already packed freezer. But no matter how much of an oath we take, every year we continue to grow far too many of these vitamin-packed beauties. So why break tradition? That’s why this year I’ve upped the stakes and am growing seven different varieties. As I type, I can see Soph’s already broken out into a cold sweat. However, as well as our usual favourites, Gardening Delight, Tumbling Toms, Moneymaker and Shirley, we’re trying some new varieties: Yellow Pear, Corazon and Fenda. With the polytunnel working wonders, we have the space and I can never resist trying something new. 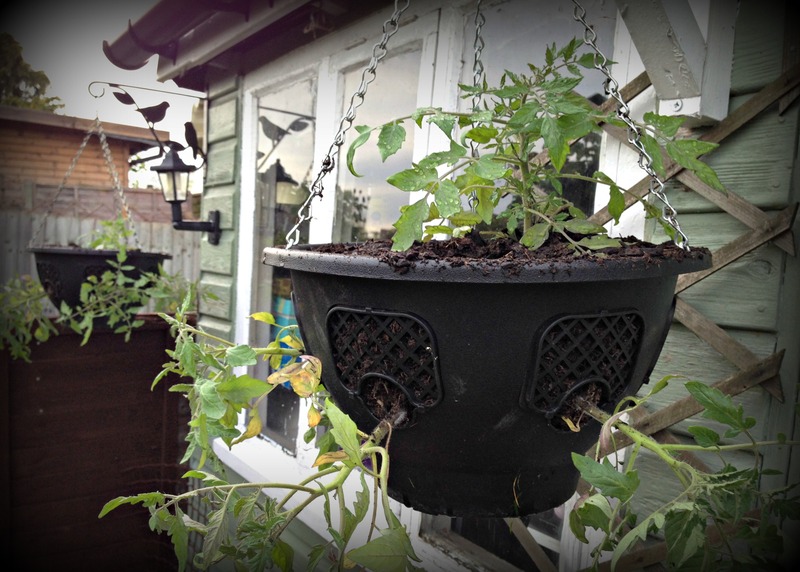 So this weekend, I was split between both the allotment and the the garden as I potted up and planted out my tomato plants which I’ve nurtured since they were just tiny seeds, full of dreams and saucy potential. We’re all different, have different likes and dislikes, but there are still two things I can’t get my head around: people that don’t like tomatoes and television chefs that feel they have to be peeled and de-seeded before being cooked? I’m not judging, but they are clearly missing out on something wonderfully pure. So with a new week and warmer weather ahead, it’s time to nurture those seedlings and look forward the rosy-red treats of tomorrow. The tomato: the choice of champions. 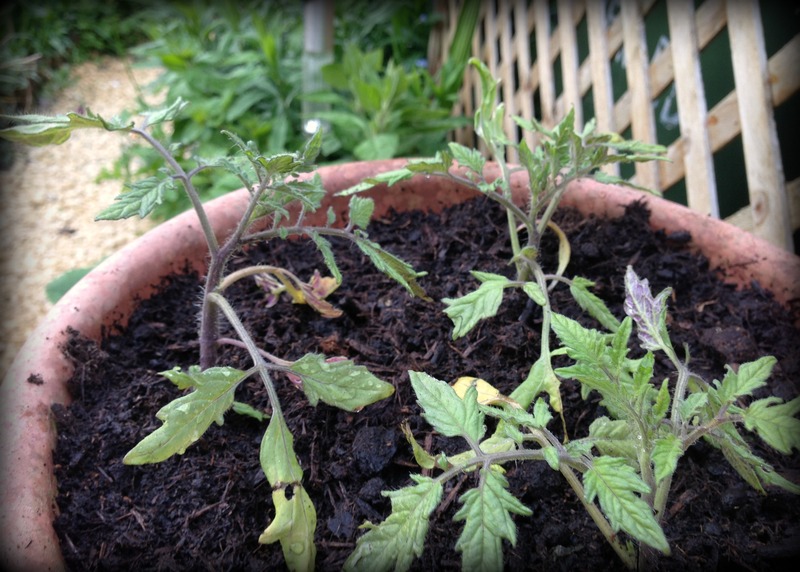 I agree – I always ignore the peeling and de-seeding of tomatoes in recipes …. what a waste! But I am getting anxious on Agent Sophie’s behalf – maybe Agent Ade will have to set up a tomato stall out front! Yes, yes, yes. A garden without tomatoes is a waste of space and might as well be paved over to give aimless kids a place to hang around and smoke. Have you thought of canning? Lots of versatility in a jar of tomatoes and it’s not taking up freezer space. I grow more every year and we still run out of canned whole tomatoes and frozen blocks of paste and pizza sauce. Maybe this will be the season. That sounds a great idea. Soph and I will hatch some new storage plans this year. Thanks! I love the sound of your varieties. Don’t forget to consider Green Tomato Pickle – so uncomplicated and one of the best things to taste. I made such a lot of it last year when our tomato crop was heading for failure here in the south of France. Easy to make, easy to store. Mmm Green Tomato Pickle, one of my favourites! Something tells me we might need more storage space this year. I agree about the smell of tomatoes – including the plants themselves. They are so easy to grow and so productive…..